I've been waiting to share this with you for...like...ever! 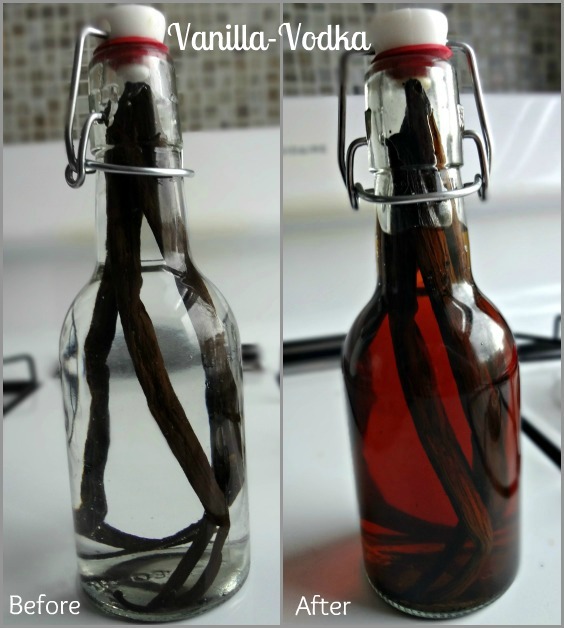 I'm OBSESSED with making homemade vanilla extract. Whaaa? Yes--you can make your own vanilla extract. And it. is. SO. easy! If you're a frequent baker you're aware of how expensive pure vanilla extract is (and how inferior imitation vanilla extract is). It's kind of ridiculous, especially once you read this post and totally realize how much money you could be saving. As it turns out, all vanilla extract is is vanilla beans that have been soaked in alcohol for awhile. That's it. For serious. Vanilla beans, whatever variety you prefer (Bourbon Vanilla Beans are used for a more "traditional" vanilla taste, which is what I used.) You will use 1 bean per 1/3 cup alcohol. Vodka, Rum, or Brandy (70-80 proof). Vodka will produce a cleaner vanilla flavor, but rum or brandy can add certain complexities-it's up to your preference. Use a sharp knife to split vanilla bean(s) in the middle, leaving about half an inch of each end intact. 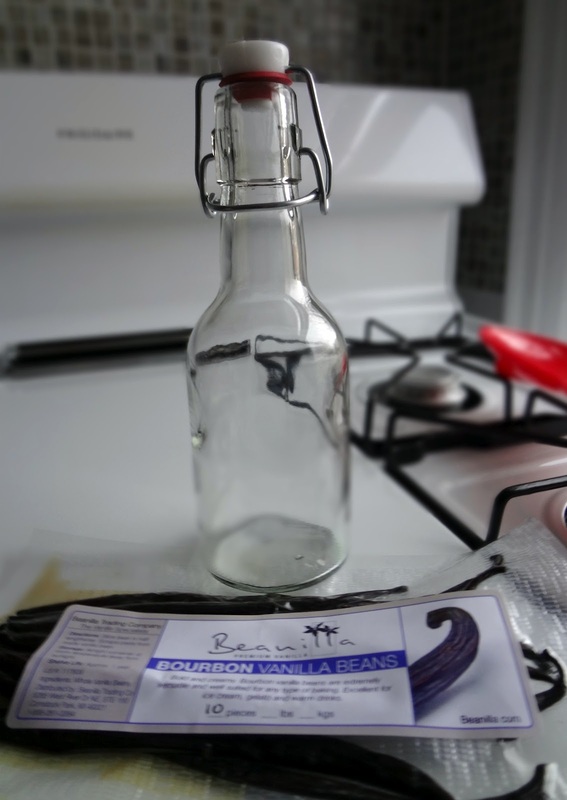 Put vanilla bean(s) in the sterilized jar/bottle and fill with alcohol (1/3 cup of alcohol for each bean. So, for example, if you use 3 beans you will use 1 cup of alcohol). Close jar/bottle and store in a cool, dry place for at least 6-8 weeks (I think they really need 8 weeks or more, and the longer the better). Every week(ish), shake the bottle. 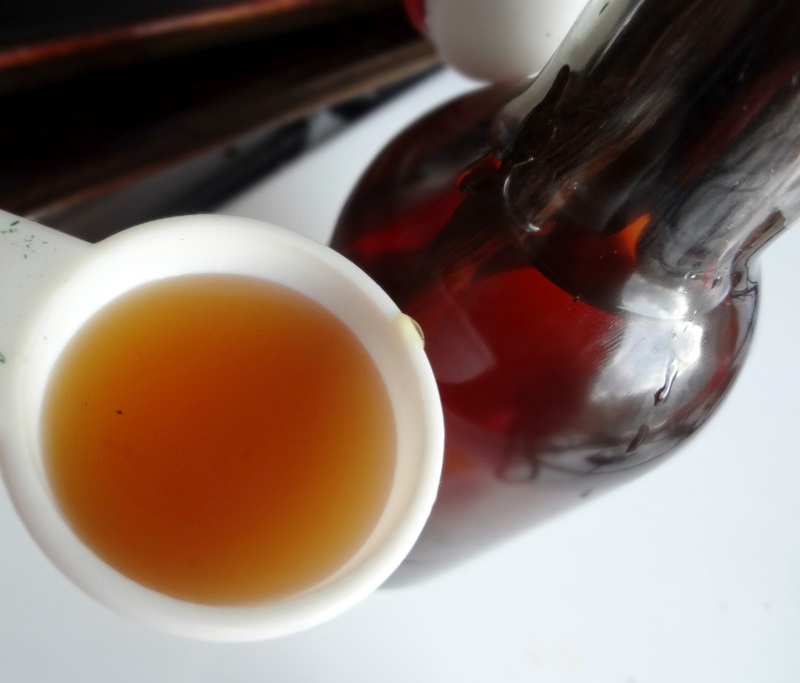 As you use vanilla, you may replace with more of the same alcohol you used-occasionally refreshing with a new bean or two. Some seeds will escape and you will see little brown specks in your extract. These are delicious. Leave them. If the appearance really bothers you (or if perhaps you are giving this as a gift) you can strain them out. The vanilla beans are good so long as they still have their scent-once they have lost it, discard and replace with new bean(s). You can use leftover beans, etc. in lots of delicious vanilla ways! Put them in a canister of sugar to make vanilla sugar, for example. If you have any more questions-Google it (or you could, of course, ask me). 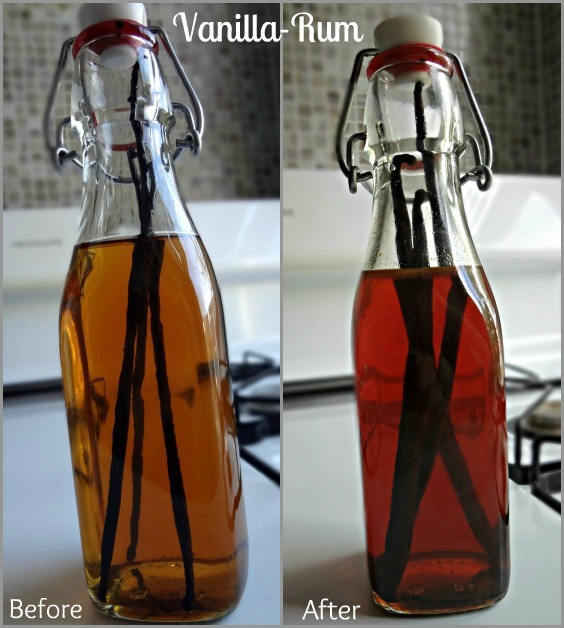 There's a lot of information on making your own vanilla extract on the internet.